RUSSIAN FINNISH CAPTURE MODEL 1891 M91 M91/30 7.62X54R TULA WW1 & WW2 MOSIN NAGANT RIFLE, CIRCA 1895(ANTIQUE). RUSSIAN FINNISH CAPTURE MODEL 1891 M91 M91/30 7.62X54R TULA WW1 & WW2 MOSIN NAGANT RIFLE, CIRCA 1895(ANTIQUE). 51 1/2" overall length. Serial number "2466X" and all matching. 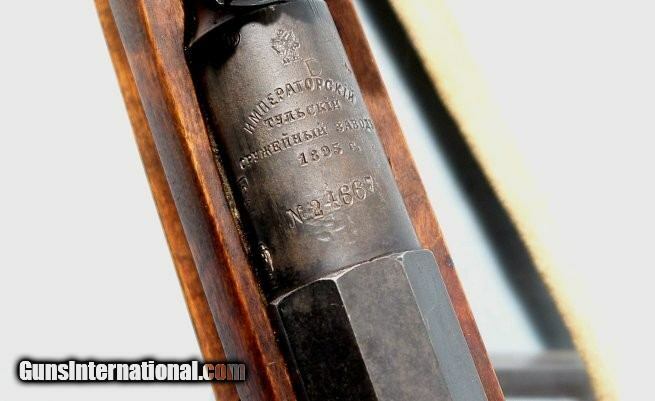 Imperial Russian TULA arsenal markings with Tula arsenal marking under Imperial crest. SA markings as well near that for Finnish capture/upgrade as evidenced by pot belly stock and blued parts. Early hex receiver. Curved rear sight. Improved non globe front sight. Early style Russian cleaning rod. Canvas Finnish wide sling. NO import markings. Stock with 'AV3-232XX" stamped on right side. Traces of original blue and markings all crisp. 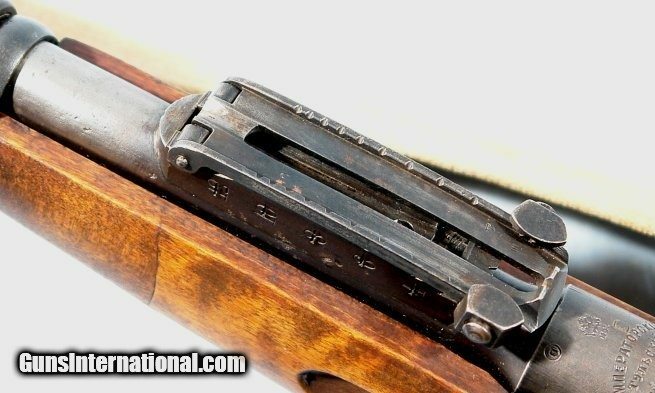 Mint bore and rifling and in perfect working order. Had to shoot it so was not dissappointed when I did. Locks up tight. 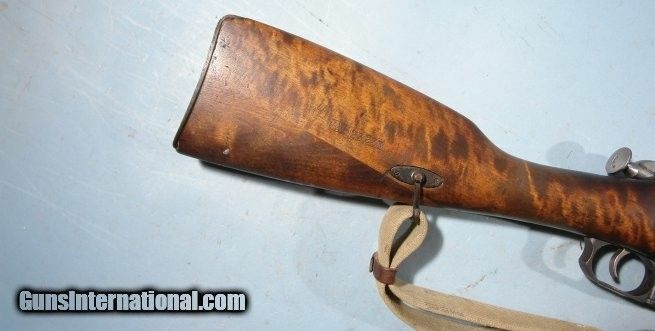 Finnish captured rifles have fun history so more research will garner some interesting facts(not all you read is set in stone so to find an early m91 dated 1895(Finnish capture) with early features is rare). Doesn’t hurt this rifle has a nice piece of Finnish wood on it too. Almost tiger maple like.